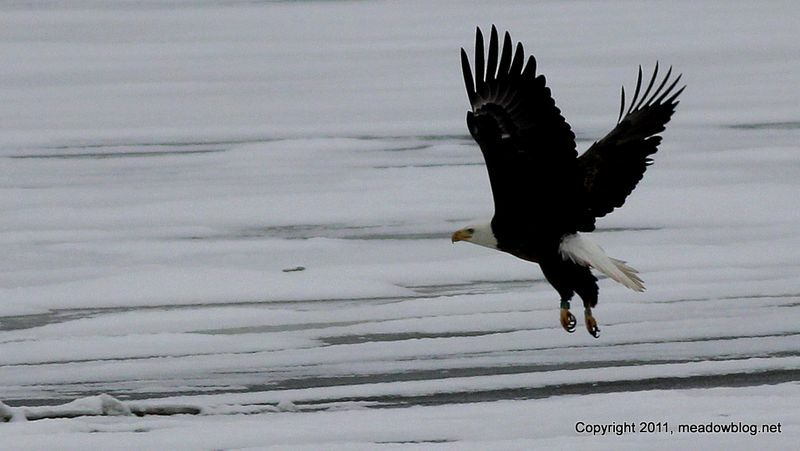 This Bald Eagle was perched on some frozen flotsam on the Saw Mill Creek Tidal Impoundment around 3:40 p.m. today. 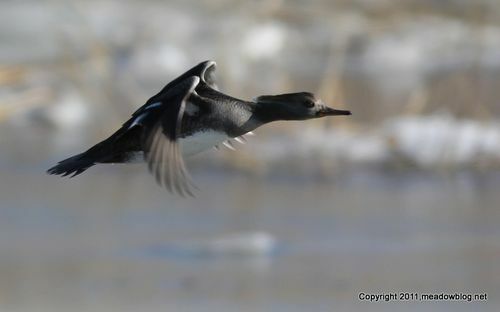 We got this shot just as it flew. Yes, the bird is banded. We went to Mill Creek Marsh to see if we could find a Eurasian (Common) Green-winged Teal see hanging out with American Green-winged Teal by the second bridge as you walk counter-clockwise. 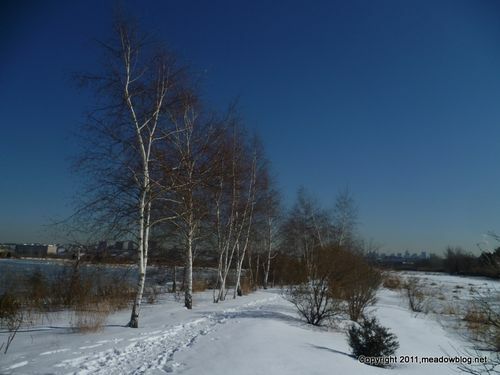 We wished we had brought our cross-country skis — would have beat trudging through the snow. 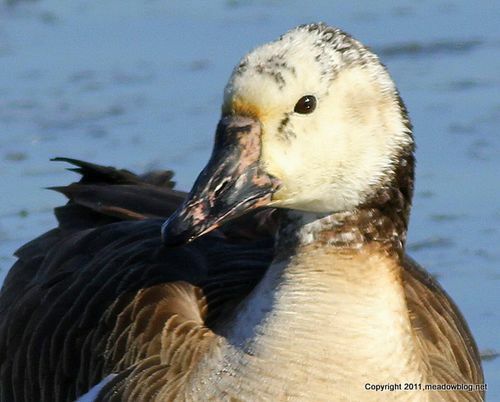 We saw the odd goose featured as today's Tuesday Teaser, plus Ruddies, Hooded Mergs (below), Sharpie and Red-tail. We did not see any Green-winged Teal but will try again later this week. Mill Creek is beautiful in winter — as it is the rest of the year. 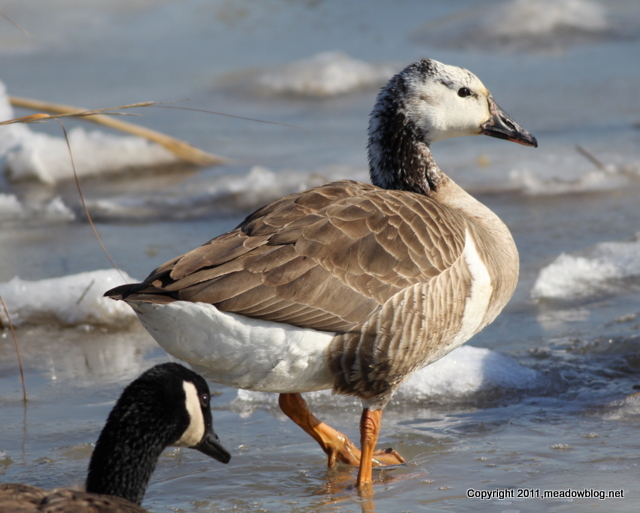 Can you help us ID this goose? 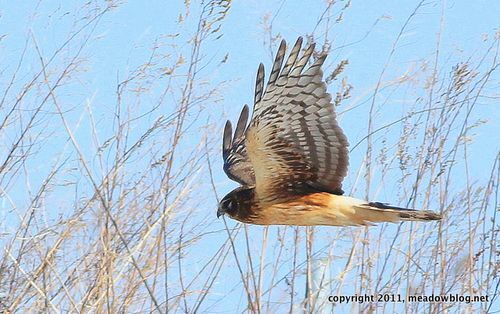 it was seen yesterday afternoon at Mill Creek Marsh, by the second bridge you cross going counter-clockwise. We are thinking Snow Goose. How about you? Our cold but enjoyable free nature walk on Sunday at DeKorte produced some great looks at Northern Harriers flying low near Disposal Road (above). We also got distant looks at our target bird, the Rough-legged Hawk.